مع الحفاظ على الجسم والعقل في حالة ممتازة هو الهدف النهائي من اليوغا، والحفاظ على الأرض في حالة جيدة هو أيضا الاعتبار الأساسي لكثير من الممارسين الصحيين في واعية. لهذا السبب، فمن المثير أن العديد من الشركات هي الآن تقدم ل الايكولوجية اليوغا حصيرة. وبطبيعة الحال، في محاولة لتحديد أفضل حصيرة لاحتياجات واحد هو مربكة في بعض الأحيان. يحتاج المرء للنظر في المواد المستخدمة في حصيرة صديقة للبيئة، وسهولة الحفاظ عليه، والجر التي تقدمها سطحه، والراحة من ذلك. أيضا، لون وأسلوب الخيارات هي مهمة لأولئك اختيار اليوغا حصيرة بيئة لتناسب شخصياتهم فريدة من نوعها. Consider all factor, One type of eco yoga mat, This is a very light weight mat. Because it is made from Nitrile/Buna N Rubber (NBR) foam, it holds up even when exposed to moisture, chemicals, or oil-based products. While it is easy to clean, this eco yoga mat is also free of toxic materials and does not release dangerous gases back into the atmosphere. 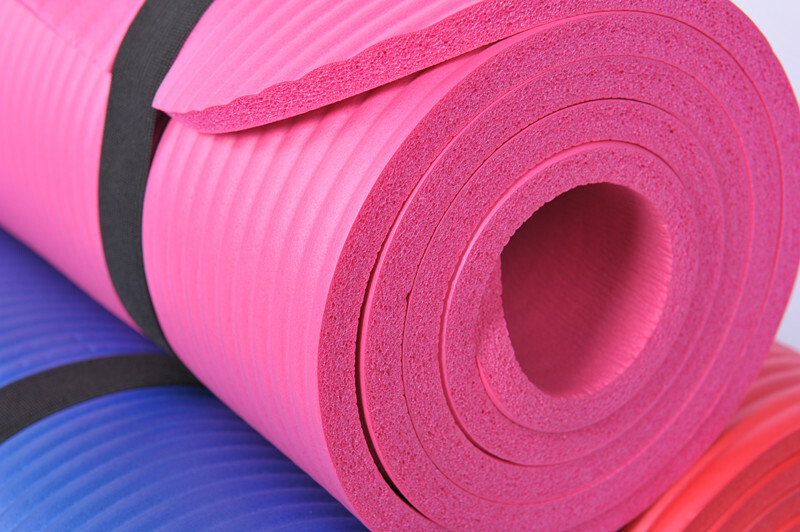 Mor Rubber&Plastic Foam Offer this kind of yoga mat. Another type is the Earth Elements mat, is made from a non-toxic, biodegradable Thermal Plastic Elastomer (TPE) foam. This mat is not only recyclable, but also free of Latex and PVC. TPE based mats can be found in sizes up to six feet, and their patterned surface provides great footing and grip for even the most difficult yoga moves. The most important is TPE is very expensive. Yoga enthusiasts might also want to consider a mat made from EVA foam when choosing an eco yoga mat. Like the other enviromentally friendly mats, EVA foam yoga mats are recyclable, biodegradable, and contain no toxins. In addition, the process by which they are made leaves very little impact on the environment.